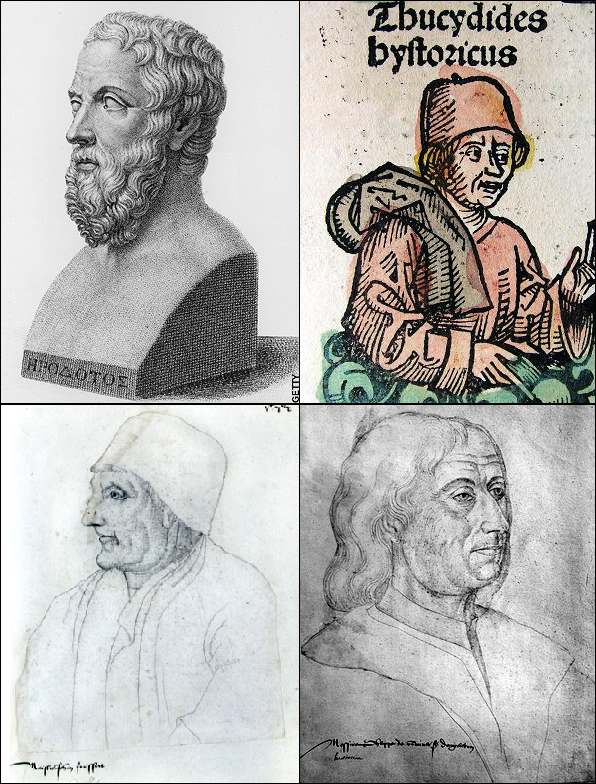 Herodotus of Halicarnassus, Thucydides, Jean Froissart, and Philippe de Commines. In my previous post, Big History and Historiography I touched on the question of scientific historiography, which is a central question for Big History because Big History is scientific historiography in its most recent incarnation. There are certain considerations that follow from big history being scientific historiography, and I will attempt to explore these considerations below. The early examples of western historiography in the works of Herodotus and Thucydides still stand as models for historical writing and historiographical method, and this is a tradition that continued on even into medieval times, in the great histories of Sir John Froissart and Philippe de Commines, who must have read their models carefully and deduced the lessons that had not yet, at that time, been explicitly formulated as principles. Despite these admirable models to emulate, a lot of history has been more or less conscious myth-making, which may then be contrasted to the unconscious myth-making that has yielded religious mythology (through a gradual process of selection not unlike that which yielded the first domesticated crops). Histories have given us historical myths, which is of course why Descartes rejected history as a source of knowledge (of which more below). With the renaissance we begin to see the emergence of critical historiography, and this then goes on to become the dominant trend in historiography in the following centuries. Historians consciously cultivated a conception of history based on citing sources and basing all claims on written evidence, and these critical historians began to seek out original source material and then to compare and criticize sources in order to arrive, through a methodology that did not necessarily take these sources at their word, at a considered account of history. There is a fascinating book about this — Did the Greeks Believe in their Myths? An Essay on the Constitutive Imagination By Paul Veyne — that delves into the emergence of critical historiography. Veyne cites in particular the reception of the Recherches de la France (1560) of Étienne Pasquier, which cites original source material in footnotes. Readers at the time, Veyne noted, objected to this method, and asked Pasquier why he did not rather submit his text to the judgment of posterity, which would either reject it or confirm it as tradition and canon. Although Pasquier’s Recherches de la France was an early instance of critical historiography, it was also, in its own way, a piece of mythmaking and so something of a historical myth — but not precisely the myth that Pasquier’s contemporaries were prepared to hear. Pasquier was concerned to demonstrate the independent achievements of French civilization apart from classical antiquity, so that Pasquier did not begin with the Greeks or the Romans, but with the earliest peoples of Gaul, about which he derived some sketchy background from Caesar’s campaigns in Gaul — but this, too, is an fascinating window onto historical methodology, as many historians of the later twentieth century up to the present day have attempted to derive the authentic history of colonialized peoples by reading between the lines of the histories and chronicles left by their conquerors. Pasquier was more modern than he knew, and more modern even that Veyne realized. The historical fiction of the Donation of Constantine shaped medieval political thought, notwithstanding the fact that is was a forgery. History is sometimes made of whole cloth. Critical historiography is then followed by scientific historiography, and scientific historiography begins to go beyond the original texts sought out by critical history and to pursue forms of evidence that did not even exist for previous historians, except in so far as they were preserved in folk memory. Scientific historiography has its own methods and its own canons of evidence, distinct from those of critical historiography. Scientific evidence and sources of knowledge are treated in critical fashion, but it is critical according to the methods of natural science, not textual exegesis. Both critical historiography and scientific historiography have sources and methods of evidence, and both take a critical view of these sources and evidence, but these methods remain distinct at present. These canons of evidence can be brought together if the will and the motive to force an integration and possibly even a synthesis is present, and this attempt to synthesize critical and scientific historiography is an implicit aim of big history. One of the themes that became evident at the IBHA conference was the extent to which big history embraces the canons of evidence of scientific historiography. The terminology that has been introduced in big history is that of “claims testers,” which is systematically seeking to teach those who are learning big history how to verify the claims that are made on the basis of the methodology of natural science. This is an admirable undertaking, and I can’t say enough good things about an historical method that teaches students to be critical and to demand evidence for any and all claims made. However, the traditional historiographical challenge of “claims testing” was a hermeneutical exercise in textual exegesis. Historians got quite good at this kind of textual criticism. Already in the renaissance it was shown (by Lorenzo Valla), from internal evidence of the document, that the so-called “Donation of Constantine” was a medieval forgery. This work of exegesis continues into our own day, as ancient books are occasionally discovered and similarly interrogated. For example, the recovery of the Nag Hammadi library was a literary bonanza for New Testament scholars, whose discipline was revolutionized by this material. Analogously, before detailed genetic studies revealed the pattern of human planetary dispersion, there was language, which preserves in its words and structures something of its own distant past, much as DNA does. Linguists traced the world’s languages backward to a root proto-Indo-European language and identified certain nodal points in the development and dispersal of that root. 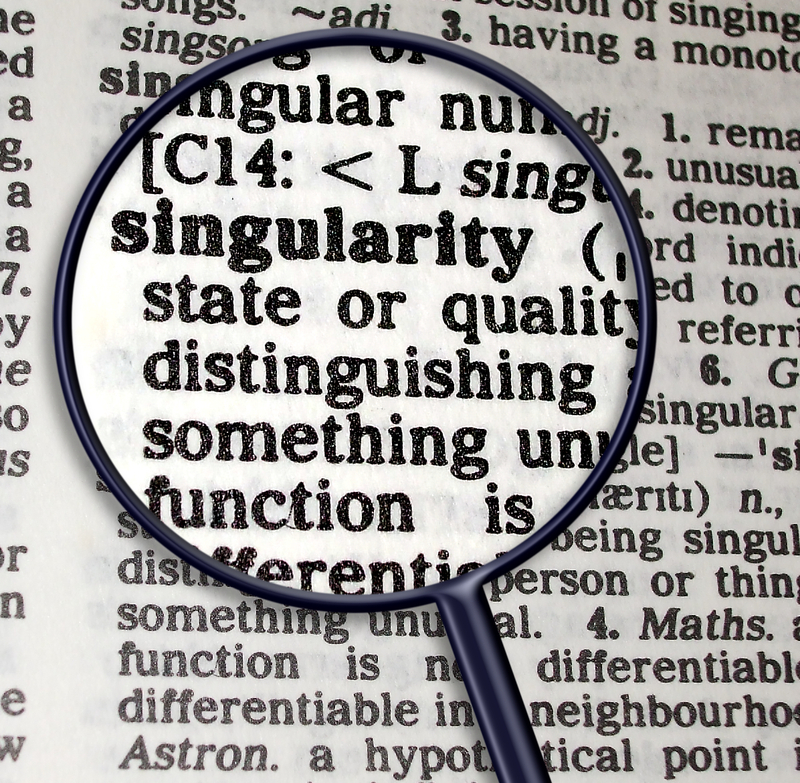 The study of language is in some ways an expansion upon traditional historiography based upon written language, which is say, history in the strict sense, in its narrowest construal, that of traditional historiography. That traditional historiography can be expanded and extended in this way, with the study of language, of inscriptions, of coins, the reconstruction or partially destroyed manuscripts, and other methods, shows how traditional text-based historiography can tend toward scientific historiography. The hunger for knowledge about the past does not relent where our documents leave off, and scholars have sought to fill in lacuna by hook or by crook. Some of these inventive methods have shaded over into scientific historiography. Codices of the Nag Hammadi Library. The physical manuscripts of the Nag Hammadi libtrary themselves, and the context of their recovery, is something to be studied by scientific archaeology (after the fact, as the manuscripts themselves were initially recovered not by archaeologists, but by two Egyptian brothers who kept their discovery quiet in order to sell the find piece by piece, so that much of the archaeological context was lost), but just as traditional literary historiography is limited by its own canons of evidence and cannot penetrate into prehistory, so too scientific historiography is limited by its scientific canons of evidence, and from its studies of the physical condition of manuscripts it can say very little about the historical period as compared to simply reading the documents, which, however, is a specialized skill of scholars of ancient languages (the kind of scholars who revealed the Donation of Constantine as a forgery). Now, in actual fact, scientific historians do not limit themselves to a scientific study of documents as physical artifacts; they also read the documents and derive information from the content, as we would expect they would. But if, as an exercise, we take the idea of scientific historiography according to the method of isolation, and consider it ideally as only scientific historiography, shorn from its association with traditional historiographical methods, we would be reduced to an archaeology of the historical period, which would be most unsatisfying. Suppose, as a thought experiment, scientific historiography were to employ its methods to study what archaeologists call the “material culture” of the historical period, but was on principle denied any information recorded in actual documents and inscriptions. That is to say, suppose our picture of the historical past were exclusively the result of the study of the material culture of the historical past (here employing “history” in the narrow and traditional sense of history recorded in written documents). I think that our the historical past reconstructed on the basis of what scientific historiography could derive from material culture would be quite different from the story that we know of the historical past in virtue of written records. No one that I know of pursues this method of isolation in studying the historical past when documents are also available, though this method of isolation is pursued of necessity in the absence of any documents (or in the absence of a language that can be deciphered). Though this method is not pursued in history, it is important to point to that scientific historiography has its limitations no less than the limitations of critical historiography and its tradition. Scholarship perpetually finds itself in the midst of the tension between traditionalism and modernization. If tradition is always given priority, scholarship becomes exclusively backward-looking and retrograde; Nietzsche would say that this is history that does not serve life. There have been many examples of this throughout the intellectual life of our planet. But scholarship cannot simply seize upon every intellectual trend that comes along, or it would lose touch with the established canons that have made rigorous scholarship possible. The introduction of a new idea might in fact expand these canons so that rigorous scholarship can have a wider field — I believe this to be the case with big history — but a new idea can appear to traditionalists as a threat to established research, a heresy, a diversion, or a waste of time. Scientific historiography has been and is just such a new idea: different scholars have judged of it differently. Some few take up the new idea with enthusiasm, most are hesitant, while some few transform themselves into defenders of orthodoxy. Isaiah Berlin took up the problem of scientific historiography, and while he defended a traditionalist position, he did so intelligently, and not in the spirit of a reactionary rejecting anything that contradicts orthodoxy. For that reason we have much to learn from Berlin on this point. Cartesians thereafter were well known for their lack of interest in history as an intellectual discipline, and if one takes mathematical reasoning as one’s paradigm (an early theme in Descartes that is already evident in his Rules for the Direction of Mind) it is not surprising that historical knowledge will not measure up to this apodictic standard. Even today one finds a quasi-Cartesian skepticism about history among some intelligent individuals whose epistemology is derived, implicitly or explicitly, from mathematics and the non-historical natural sciences. 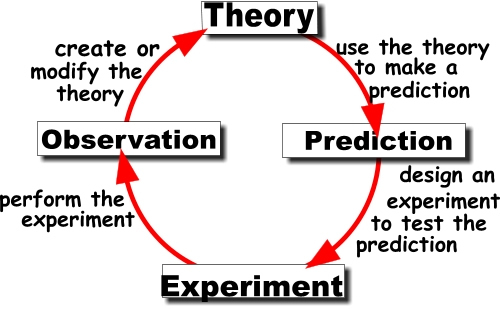 While it is true that scientific method has focused on the nomothetic while historiographical method has focused on the ideographic, is it not possible that there is a nascent, undeveloped ideographic science and a nascent, undeveloped nomothetic historiography, each discipline waiting to be born, as it were, when our conceptual infrastructure feels the want of them and we are forced to develop new conceptions that transcend our old conceptions of science and history? Nomothetic science, ideographic history, nomothetic history, and ideographic science will naturally fit together like the pieces of a puzzle, each complementing rather than contradicting the other. Integrating human history into a background of scientific history, as in cosmology, geology, biology, etc., one is integrating the nomothetic and the ideographic. A truly comprehensive and integrative history — presumably the aim of big history — would have to avoid both unscientific and unhistorical modes of thought, and this is a valuable observation. This demonstrates that big history is not merely eclectic, but must also, like any rigorous discipline, be defined in terms of what it excludes. Even though I do not agree with Berlin in detail, and often I disagree with him when it comes to the big picture also, I think that big history can only benefit by engaging with his ideas and his perspective. Ignoring the problems that Berlin points out is not, in my opinion, intellectually responsible. The scholar is called upon to respect and to respond to the arguments of earlier scholars, if only to refute them in order to demonstrate to future generations a blind alley to be avoided. I am not saying that Berlin’s approach to history is a blind alley, since traditional historical scholarship can continue and be absorbed into the architectonic of big history, but Berlin is definitely asserting that “the attempt to construct a discipline which would stand to concrete history as pure to applied” is a blind alley, and here I must decisively part company with Berlin. I think it both possible and desirable to seek a pure theory of history that would stand in relation to applied, empirical history as pure geometry is related to empirical geometry. I would call this discipline formal historiography, and it strikes me as the obvious next development following traditional historiography, critical historiography, and scientific historiography. Probably this view would divide me no less from most big historians than from traditional historians like Isaiah Berlin. Big history could be a formal school of historical thought in the way that the cultural processual school in archaeology is a formal school of archaeological thought, no less concerned with formal models and the hypothetico-deductive method than with excavating mounds and sorting pottery sherds. But this clearly does not appear to be the direction in which big history is headed. There could, of course, be a small subfield of formal big history within the overall umbrella (or, if you like, big tent) of big history, which would proceed in true hypothetico-deductive fashion, formulating general laws about history, deriving predictions from these laws, and confirming or disconfirming the laws by testing the predictions against actual events. The scientific method at its most formal has served us well in other capacities, and we have yet to bring its full force to bear upon historical questions. This is not my interpretation. I’ve read enough Bradley to know that he was no sentimentalist, and while his philosophy diverges radically from contemporary philosophy, he was committed to a philosophical, and not a religious, point of view. Although Russell rejected what he called the classical tradition, and distinguished himself in contributing to the origins of a new philosophical school that would come (in time) to be called analytical philosophy, the influence of figures like F. H. Bradley and J. M. E. McTaggart (whom Russell knew personally) can still be found in Russell’s philosophy. In fact, the above quote from F. H. Bradley — especially the portion most quoted, short of the Absolute, God cannot rest, and, having reached that goal, he is lost and religion with him — is a perfect illustration of a principle found in Russell, and something on which I have quoted Russell many times, as it has been a significant influence on my own thinking. One of the distinctive features that Russell identifies as constitutive of the classical tradition, and in fact one of the few explicit commonalities between the classical tradition and Russell’s own thought, was the denial of time. The British idealists denied the reality of time outright, in the best Platonic tradition; Russell did not deny the reality of time, but he was explicit about not taking time too seriously. In any case, we can bring Russell’s generalization imperative to time and history even if Russell himself did not do so. 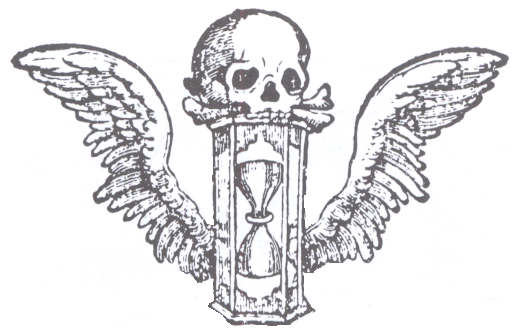 That is to say, we ought to generalize to the utmost in our conception of time, and if we do so, we come to a principle parallel to Bradley’s that I think both Russell and Bradley would have endorsed: short of the absolute time cannot rest, and, having reached that goal, time is lost and history with it. Since I don’t agree with this, but it would be one logical extrapolation of Russell’s generalization imperative as applied to time, this suggests to be that there is more than one way to generalize about time. One way would be the kind of generalization that I formulated above, presumably consistent with Russell’s and Bradley’s devalorization of time. Time generalized in this way becomes a whole, a totality, that ceases to possess the distinctive properties of time as we experience it. The other way to generalize time is, I think, in accord with the spirit of Big History: here Russell’s generalization imperative takes the form of embedding all times within larger, more comprehensive times, until we reach the time of the entire universe (or beyond). The science of time, as it is emerging today, demands that we almost seek the most comprehensive temporal perspective, placing human action in evolutionary context, placing evolution in biological context, placing biology is in geomorphological context, placing terrestrial geomorphology into a planetary context, and placing this planetary perspective into a cosmological context. This, too, is a kind of generalization, and a generalization that fully feels the imperative that to stop at any particular “level” of time (which I have elsewhere called ecological temporality) is arbitrary. On my other blog I’ve written several posts related directly or obliquely to Big History as I try to define my own approach to this emerging school of historiography: The Place of Bilateral Symmetry in the History of Life, The Archaeology of Cosmology, and The Stars Down to Earth. The more we pursue the rapidly growing body of knowledge revealed by scientific historiography, the more we find that we are part of the larger universe; our connections to the world expand as we pursue them outward in pursuit of Russell’s generalization imperative. I think it was Hans Blumenberg in his enormous book The Genesis of the Copernican World, who remarked on the significance of the fact that we can stand with our feet on the earth and look up at the stars. As I remarked in The Archaeology of Cosmology, we now find that by digging into the earth we can reveal past events of cosmological history. As a celestial counterpart to this digging in the earth (almost as though concretely embodying the contrast to which Blumenberg referred), we know that by looking up at the stars, we are also looking back in time, because the light that comes to us ages after it has been produced. Thus is astronomy a kind of luminous archaeology. In Geometrical Intuition and Epistemic Space I wrote, “…we have no science of time. We have science-like measurements of time, and time as a concept in scientific theories, but no scientific theory of time as such.” Scientists have tried to think scientifically about time, but, as with the case of consciousness, a science of time eludes us as a science of consciousness eludes us. Here a philosophical perspective remains necessary because there are so many open questions and no clear indication of how these questions are to be answered in a clearly scientific spirit. Therefore I think it is too early to say exactly what Big History is, because we aren’t logically or intellectually prepared to say exactly what the Russellian generalization imperative yields when applied to time and history. I think that we are approaching a point at which we can clarify our concepts of time and history, but we aren’t quite there yet, and a lot of conceptual work is necessary before we can produce a definitive formulation of time and history that will make of Big History the science and it aspires to be.